Probistip is a small mining town, situated in the southwestern foothills of the Osogovo Mountains. The name of Probistip originates from the name of the feudal ruler Ivanko Probistipovik who has had a property in this region in the middle ages. 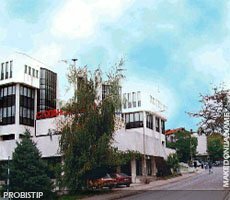 Probistip is located on 108 km from the capital Skopje and from the nearby city Stip, is just 36 km away, while from Kumanovo is 70 km and from Kocani is 39 km away. Since Probistip is a region rich with mines, its settlement can be traced very far back in history. The old Illyrian tribe Peoni used to live here. The Romans have built their mining settlements, and afterwards, together with the Macedonians, the Vlachs and the mining tribes Sasi settled here. The history of Probistip and its vicinity comprises the building and the existence of the Lesnovo monastery, which is today one of the most important and most valuable monuments of culture in Macedonia.